related products online across the world. Expand, reduce CPA and optimize current audiences/spending. 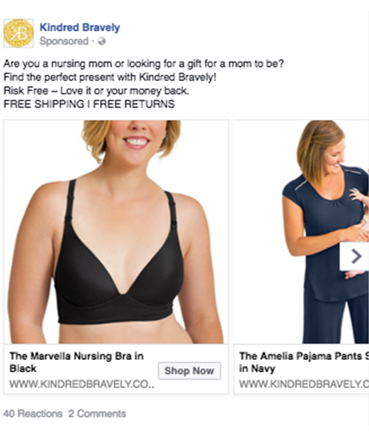 Brand awareness, preference & loyalty - a number of existing Maternity & Nursing Apparel Brand companies (competitors) that offer similar product. We did careful analysis with their on-going campaigns and come out with better identifications. 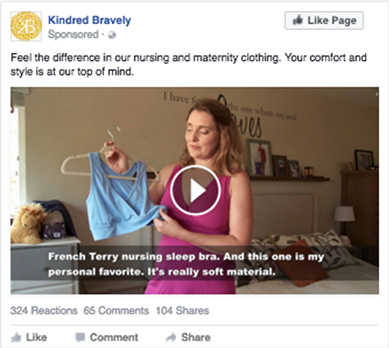 With Kindred Bravely customer database and traffic, we created a very lean campaign structure (using different approaches from their on-going campaigns) to reach out for the audiences. Created our own Facebook Ad structure that helps keep CPA lower and ROI always in the picture. Managed to lowered down the overall CPA (at CPA $18.68), initially at around CPA $50 (ran by client). Throughout the activation of our campaigns, we are able to maintain the CPA lower and increase the conversions than client’s. Use different optimization and bidding to reach more people and to get more conversions at low costs. Different bidding option influence the group of audiences that the ads will reach. Testing different bidding allows the campaign to reach different group of audiences and can help the campaigns to get more conversions at lower cost if utilized correctly. Optimizing for Clicks: Getting more interested clicks and visits to the website for future remarketing purposes. Optimized for Engagement: Getting more responses such as comments, likes and shares from the targeted audiences for more Brand Exposure. 3. Lookalikes+ Parent or Married demographics. Segment the targeting of the campaign & ad sets by age and allocate the budget and scale accordingly based on performance. The budget were mostly allocated to 25-34 despite of having higher Cost per Purchase. Audiences aged 35-44 should be allocated and scaled up with more budget based on the CPA performance and the likelihood of conversions. 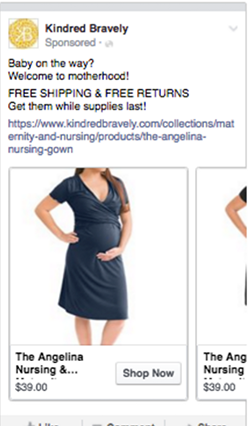 From the awareness & PPE campaigns, we created retargeting campaigns for the visitors of the blogs & also videos.